CBD oil (or cannabidiol) has become hugely popular thanks to its powerful anti-inflammatory properties, which can help to alleviate a multitude of physical and mental ailments. 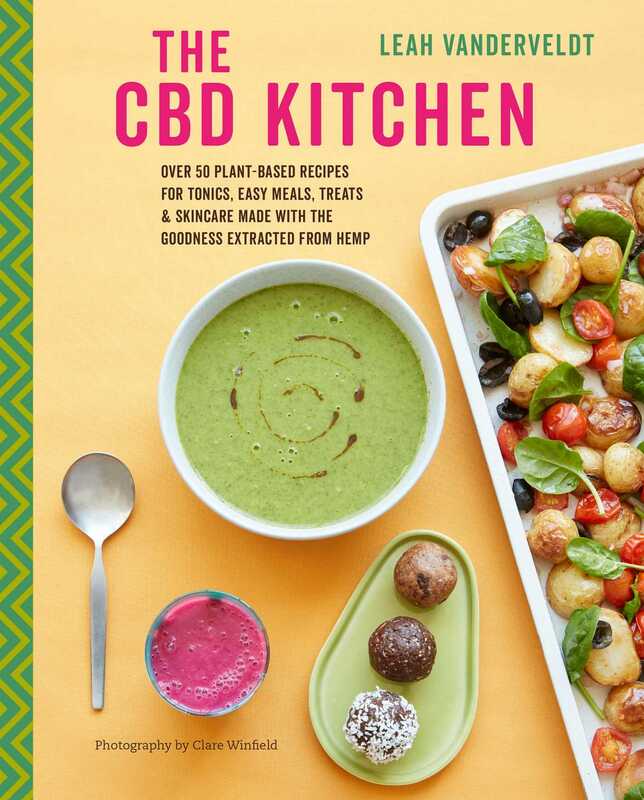 Here, wellness expert Leah Vanderveldt demystifies the science and offers over 50 plant-based recipes with CBD. CBD oil (or cannabidiol) is receiving huge attention from mainstream media for its anti-inflammatory effects which may help to improve our brain health, alleviate anxiety, headaches, and arthritis. CBD comes from the cannabis plant, but unlike the stuff you smoke, CBD contains only trace amounts of THC, the psychoactive chemical of the plant that gets you high. It has the relaxing, anti-inflammatory benefits of the cannabis plant without making you feel weird. Leah Vanderveldt has taken CBD oil for over a year and is convinced it has helped her with anxiety, pain and to improve sleep. Her easy recipes include smoothies, teas and coffees, snacks and desserts, light savory meals, and even mocktails and cocktails, plus CBD skin care such as an anti-inflammatory face mask and a coconut oil moisturiser.